Seldom out of step with market demands, South Korean carmaker, Hyundai, has served up its latest crossover model, with a frisson of presence that impresses Iain Robertson, in a memorably discursive manner. Every now and then, a new, or revised, product is introduced to the consumer and it seems simply to take off. It could be a bag of crisps, a garden implement, or even a new property, but whatever it is, it seems to strike the zeitgeist in a way that shocks the market. I have to say that it has not been a regular occurrence, well, not to me at least, but when it happens it does so usually in a most noticeable manner. As I deal with motorcars in the main, I have spotted this rare recurring trend with models such as the Nissan Juke (plug-ugly but popular) and the Range Rover Evoque (similarly, I do not like it especially but I cannot deny its popularity). Intriguingly and something that flies in the face of my near-abhorrence of the ‘4×4-esque’ sector, both of these cars are SUVs, or Crossovers (a term more commonly applied to ‘look-alikes’ that present a 4×4 appearance but only drive the front stub-axles). However, one car company that actually presents two almost-separate brands, Hyundai-Kia, has managed its product offerings so succinctly that I, for one, have been forced into pricking up my ears and paying attention, with every model in sequence. As we should all know, the SUV/Crossover is the predominant growth sector around the automotive world, slowly leaving behind the conventionalities of the archetypal family car, but unlike the MPV, or typical people-mover, its gaining of ground has been all but relentless, even though sometimes I feel that it should not be so. Whether by right, or by commercial manoeuvring, consumer demand is what governs sector development. The SUV meets the zeitgeist and Hyundai-Kia, with its closely related product offerings, is meeting that demand, with both a timely and exacting modus operandi. However, their respective brand progress is carried out in the most empathic, relaxed and non-pressured ways. You know that they exist but they never force an issue, which is exceptionally conducive to a most satisfying consumer response. The current Hyundai Tucson is a primary case in point. While I am not alone in noticing that the car’s monetary value has escalated most speedily from ‘affordable’ to the European, high-priced ‘norm’, by way of the phenomenon of ‘market pricing’ (this version costs £23,145), it has not created an insurmountable barrier to its progress. Of course, it is a factor aided immeasurably by attractive PCPs and business finance deals, which comply with the current state of ‘non-ownership’ that is prevalent in the new car scene. Yet, there exists something else about the Tucson. Something irrefutable. Something that tugs at the heart-strings. The car has transmuted from the carefree, fun and inexpensive runabout of 2004, when it was first introduced, through the slightly prissy and readily confused Mark Two versions of half a decade later, to the current style-conscious and earnest offering of today. It is more unavoidably costly but it does possess a sturdy on-road presence and even desirability lacking in its forebears. I have suggested already that Hyundai does not ‘force’ the issue…yet, the new version is undeniably smart and purposeful. If that implies ‘force’, then I might be wrong in my presupposition, even though this is not commercial might that is weighing down on the consumer. Instead, Hyundai has achieved the near-unattainable. A distant importer. A foreign product. Coming from a nation that has northern border problems. These are not sympathy-laden issues. Overall, Hyundai is continuing on a carefully planned strategy to take over the automotive world. 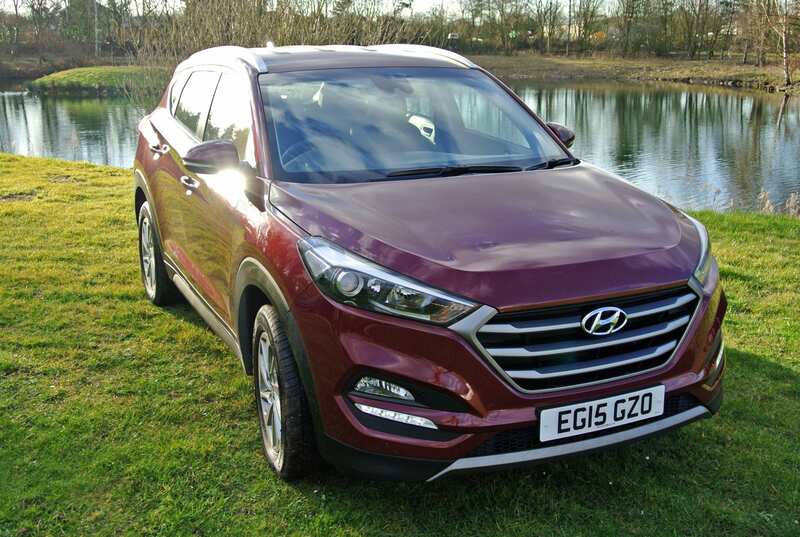 Its actual growth rate has been phenomenal and is underscored by the facts that the Tucson is designed in Germany and built in Europe, which are two perfectly sound reasons for it losing its ‘oriental chintz’ and becoming market-ready for us. The test example is in SE Nav trim, powered by the smaller of the diesel engines on offer, which drives the front wheels alone. Despite a relatively small displacement, at 1.7-litres, the engine is of the latest generation but delivers only average potency. It develops a modest 113bhp, which is enough to punch the 1.6-tonne hatchback through the air to deliver a mildly disappointing 0-60mph acceleration time of 12.5 seconds (albeit quicker than the manufacturer figure of 13.4 seconds), before topping out at around 110mph. To be fair, these are ball-park numbers for the class and should be unsurprising, considering the bulk that the engine has to propel. Yet, the Tucson never feels as sluggish as the on-paper suggestion. A deliciously slick, six-speed manual transmission ensures that keeping station with the rest of the traffic is never an issue and a healthy 207lbs ft of torque that is developed from as little as 1,250rpm means that stirring the gearstick constantly is unessential. The Tucson seldom disadvantages its driver. Interestingly, the car is taxed in Band C and, at 119g/km of CO2 emissions, the annual VED levy is currently just £30. The Official Combined fuel figure is given as 61.7mpg, although I returned a still decent 53.5mpg in a weeks’ worth of motoring. 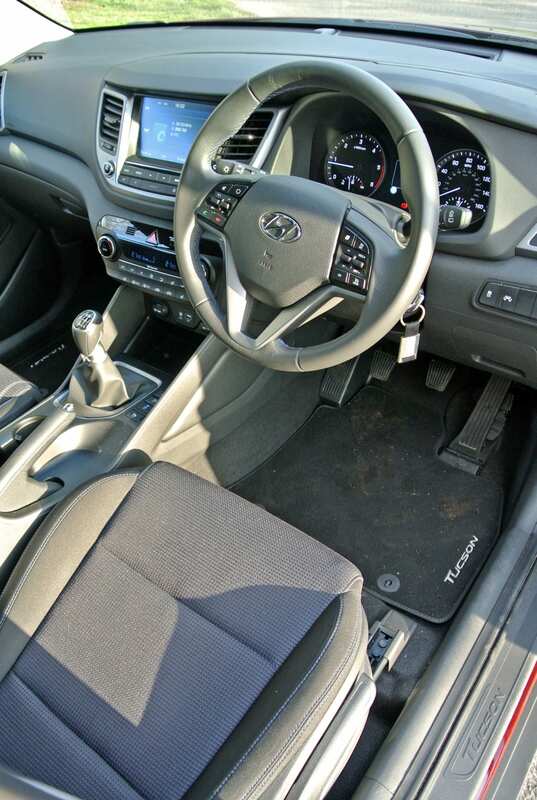 Apart from looking great on-road, the interior of this Hyundai follows the current company practice of instilling an impression of first-rate quality, allied to clever design features. 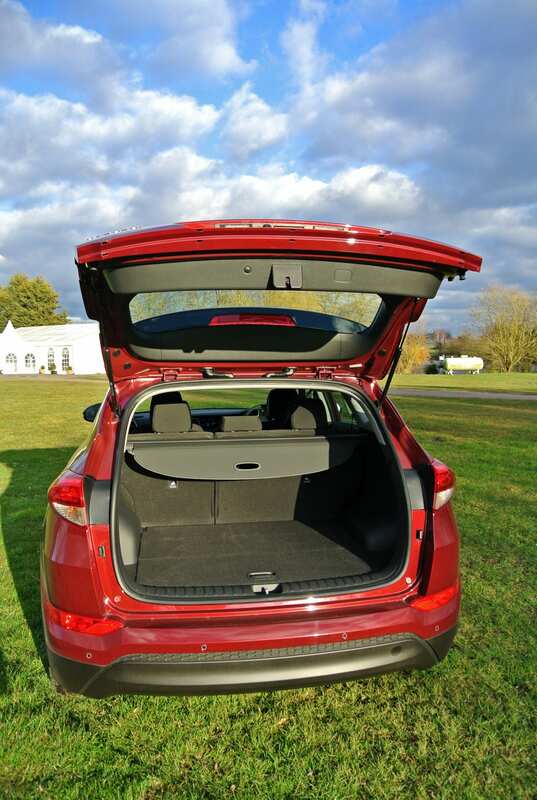 There is bags of room in the cabin and an equally spacious boot behind the rear seats, even though its relatively high floor is enforced by placing a full-size spare wheel beneath the hard folding cover. It is a useful location for secreting personal possessions by the way. Sadly, the quality of some of the plastic mouldings, although there has been a concerted attempt to use more tactile materials, is not at typical European levels. It is significantly better than before but still misses the mark, although I am trying desperately hard not to highlight that ‘the next generation will be better, probably’, as I have done so, with the vast majority of South Korean cars for the past few years! Yet, I am sure that the improvements will continue. 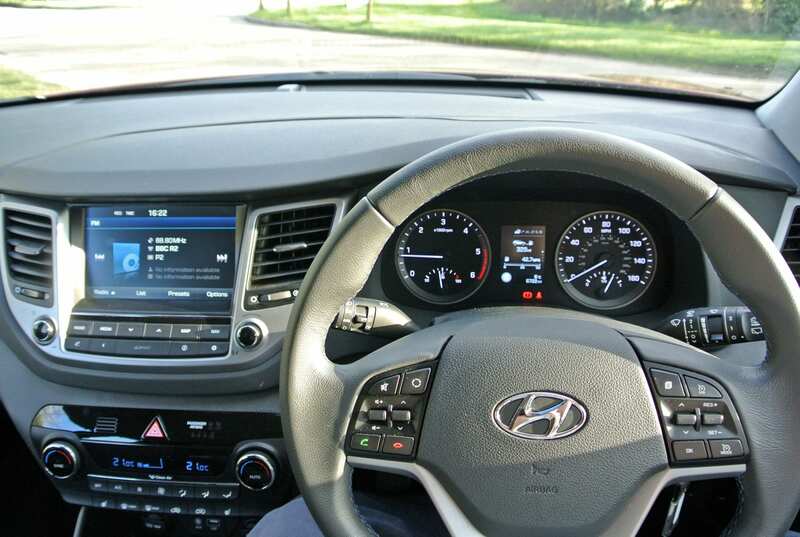 There is nothing wrong with the instrument display, or the centre console layout and the multi-function steering-wheel manages to appear familiar and practical in use. There are plenty of useful storage slots and trays around the cockpit, most of them rubber-lined to resist rattling of contents, and the overall appeal is of friendly practicality and solid build quality. However, this is not yet at ‘premium’ level, despite what Hyundai might wish us to believe. The driving position is excellent, as the seat is adjustable in every direction, across a wide range of parameters. So, too, is the steering column, which means that, as a two-metres tall occupant, I can get very comfortable indeed. The padding is in all the right places and, thanks to moderately sporty suspension settings, body roll is not major and the driver can remain planted securely in the seat. 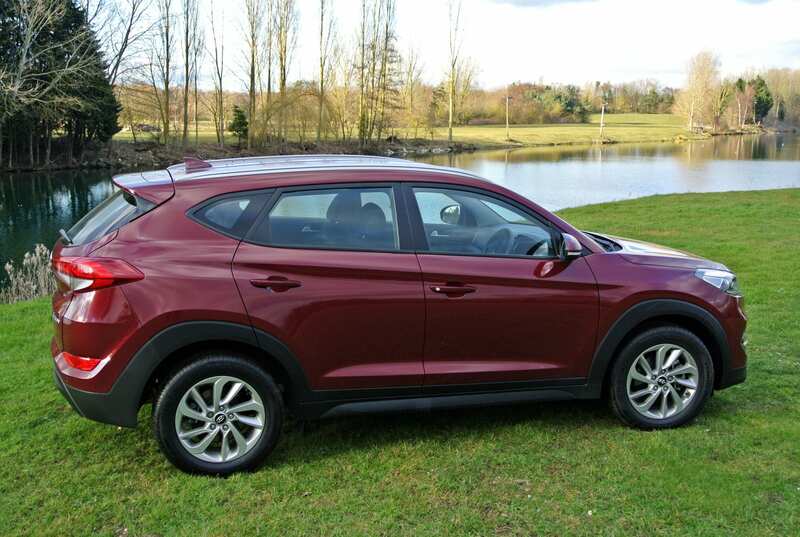 Interestingly, the seat cushioning has been developed in conjunction with the chassis settings, which means that the Tucson possesses a delightfully ‘connected’ feeling. Both front seats are also heated and the rear seats recline through a limited range. As this is not the top version, the wear surfaces are upholstered in fabric, rather than leather, although the steering wheel rim, gear knob and handbrake gaiters are hide-wrapped. As far as other creature comforts are concerned, the stereo is of high quality, as is the 8.0-inch touch-screen for the sat-nav and other functions. 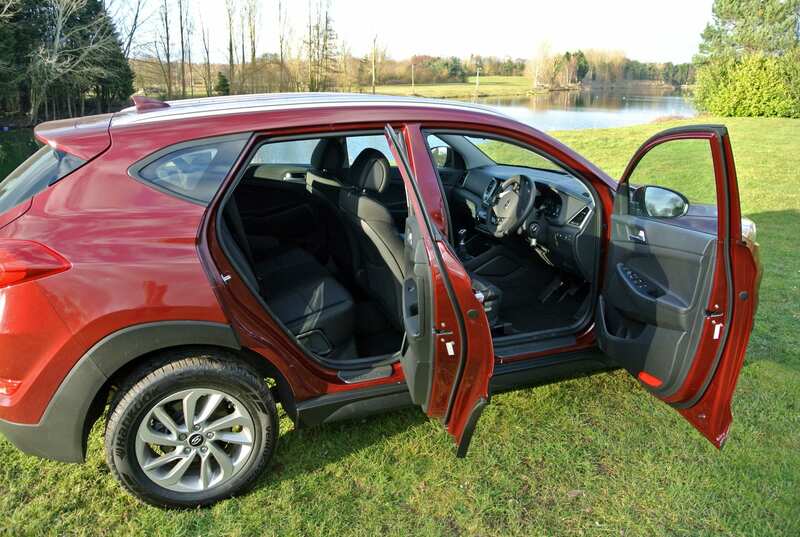 Unlike many of the Hyundai’s rivals, the Tucson features a conventional, as opposed to electronic parking brake, which I believe to be a major plus point. Even though this is a 2WD model, it also features Downhill Brake Control, which owners towing trailers will find most useful. Where the Tucson impresses most of all is on the road. Its suspension is outstanding, delivering the aforementioned taut body control for comfortable cornering, while remaining exceptionally resilient on our give and take roads. The 225/17×60-profile tyres grip strongly and perform an excellent task of absorbing imperfections in road surfaces and remain remarkably quiet, even when stretching the car’s handling envelope. 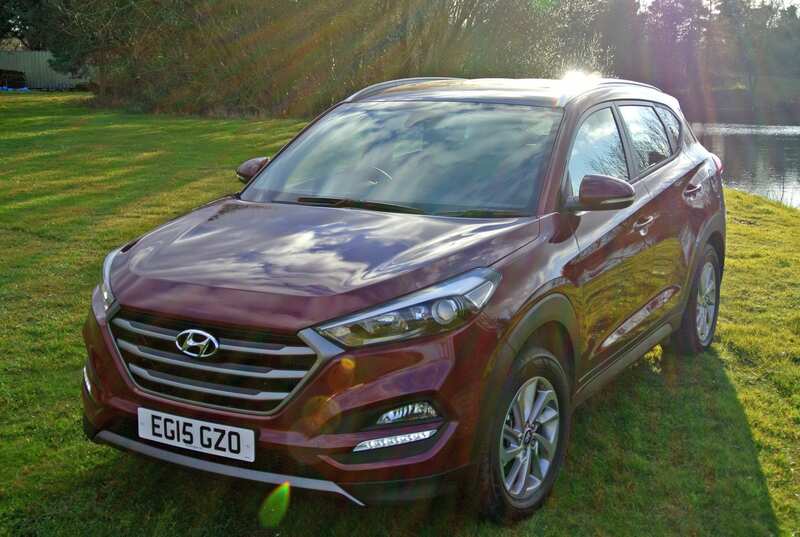 Even when pushed hard, the Tucson retains its composure and gets its power down most effectively. Lane-changes are especially linear in response, which is most confidence-inspiring, flattering the driver’s capabilities and ensuring that passengers will scarcely notice that a fairly high average speed is being maintained. 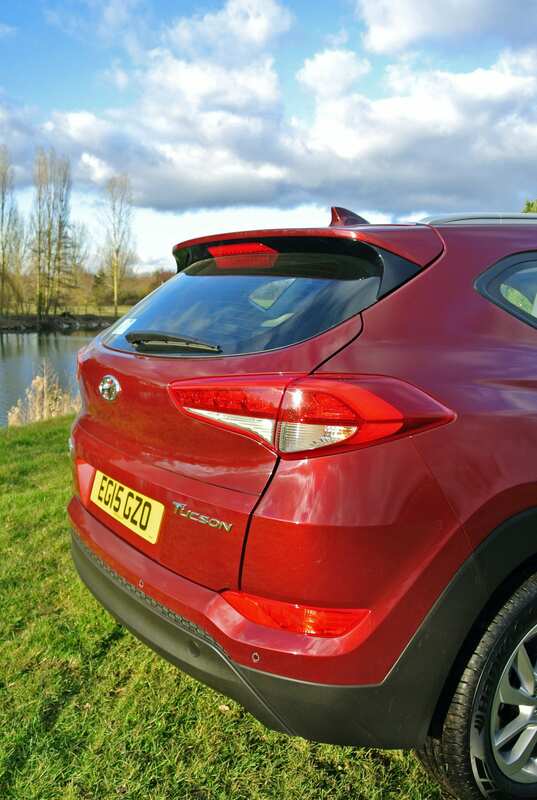 Conclusion: While it is difficult to pin down, the latest version of the Hyundai Tucson is not simply the best of the brand but also among the best in breed. I shall grant you that it is difficult trying to tell the difference between any of the latest crop of SUV/Crossovers but, apart from the fact that I keep confusing the Tucson with Honda’s CRV rival, probably as much to do with the ‘H’ badge on the radiator grille, as anything else, I truly prefer the Hyundai and it is a stand-out model in an overly-crowded market sector. « Malta Diary: No chance of getting caught short of soliciting a prayer.